Do your printed greens look grey, the greys look magenta or blues look green? This is an industry wide problem which affects all designers in all areas. Colour Matcher™ solves this problem by producing a number of printable and online colour charts displaying over 9000 colour chips which can be printed in RGB, CMYK or HEX enabling the end user to quickly match any piece of fabric, paint, plastic; anything that you need to print and more importantly accurately reproduce from your printer. 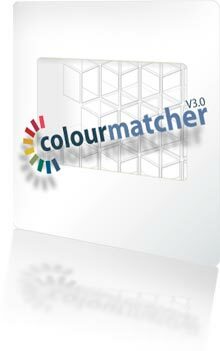 Colour Matcher™ is a unique and easy to use piece of software which enables it’s users to match colour's to their printer. Colour Matcher has been developed to help designers overcome the industry wide problem of colour matching and is designed to be affordable for all at a cost of only $325 US Dollars. Take advantage of the free 14 day Colour Matcher trial to see for yourself. You can now be confident in the knowledge that the colour's of your design or presentation will be accurate and will match the samples and colour's of your original design or material. 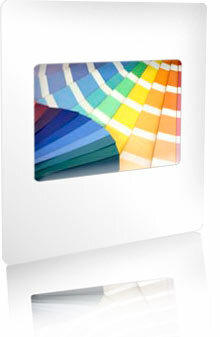 Along with the colour palette software is another sophisticated tool called "The colour mixer". The colour mixer enables you to create a palette of 6 colour's in seconds, by selecting one RGB, CMYK or HEX value and automatically creating another FIVE complementary colour's instantly. The colour mixer is a creative tool which takes out much of the guesswork of pallet creation, thus giving you, the designer, more time to do what you are best at! The third part to this process is to build your palettes on-line by adding colour's from the colour book, both online and with your printed copy.